Please note, this is another 'fantasy booking' blog post. Stride Pro Wrestling is not doing anything like this (at least not now). 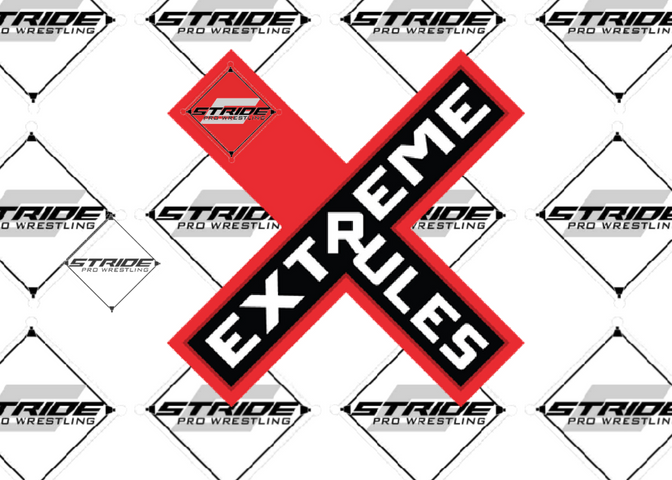 Jerry Travelstead suggested a post that ties WWE Extreme Rules with Stride Pro Wrestling so I thought I'd have a little fun. Tony Flood defends against Jay Spade. Flood has used the lead pipe a lot in recent matches with Spade. This time Spade gets an equal opportunity. Whoever reaches the pipe on the poll gets to use it on his opponent. Of course, the pipe can be wrestled away and anything goes. Wraith has risen from the grave and tries to send Brookspool to his demise in this match. The winner is the Stride Pro Wrestling Legacy Champion. Heath Hatton, Ax Allwardt, Chris Hargas and Daniel Eads take on The Midwest Monster Hunters (Bo Sawyer and Jason Tiller) and the DR Party (Dexter Roswell and Scott Phoenix). I'm not a big fan of blood and gore in pro wrestling, however, the rivalry that has developed between Cash Borden and Roger Matheus it only seems fitting for some violence to be a big part of the contest. This match also has sees the fans bringing weapons for each man to use. I have no idea if this kind of match has happened or if it could even be pulled off. But it starts off as a battle royal. The last two men standing immediately start a ladder match with a contract hanging above the ring. 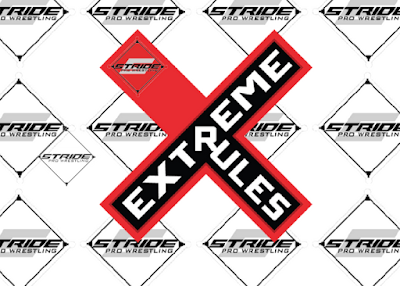 Inside is a chance for ANY championship on the Stride Pro Wrestling roster. Joey O'Riley, Farmer Billy Hills, Ryzer, Disciple 2, Jose Magnifico, Jerry Travelstead, Stone Cold Plumster, Redneck Mania, CJ Jordan, Brian Richards, Curly, Justin D'Aire, Ace Hawkins and Brandon Espinosa. What if Hulk Hogan never existed? Who treats an injured ghost?